Creating WiFi hotspot is the best and most commonly used method to share internet now a days. This option which is called 'Tethering' is available in most smartphones also. But, You need to share internet on your laptop or WiFi enabled computers to other WiFi enabled devices? But tethering option is not built on most operating systems. You can do it by simply installing a software named 'Virtual Router Manager'. 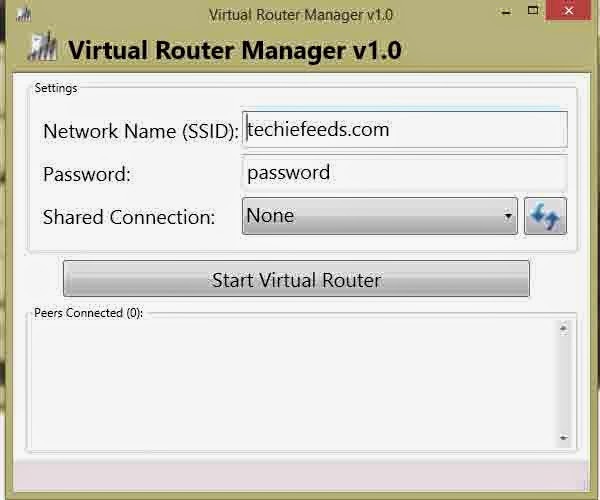 Download Virtual Router Manager v1.0 free of cost from here.